STRONG global demand for quality heavy mutton and restricted supplies has kept mutton prices high in recent weeks, but not quite at historical national indicator peaks. Prices peaked above 600 cents a kilogram for some lines of heavy mutton last week, according to the National Livestock Reporting Service, but processors said this was for a small percentage of sheep among those purchased. 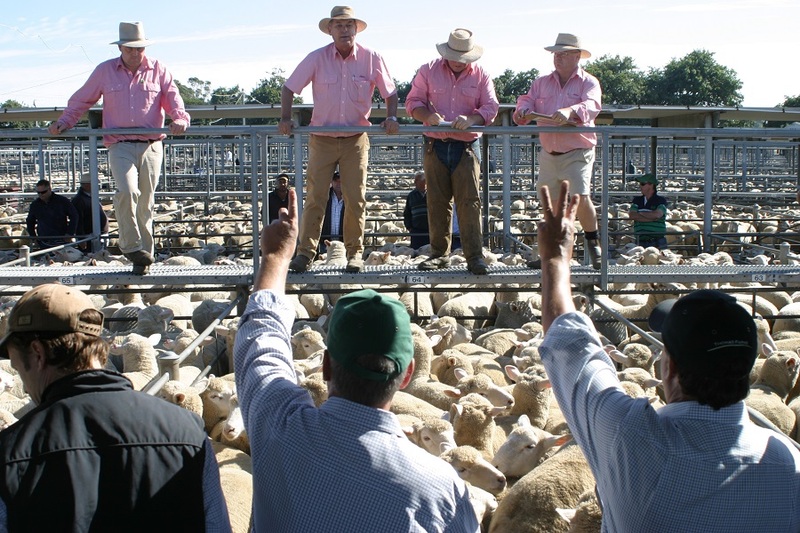 New South Wales processor Roger Fletcher also queried the accuracy of NLRS reports of heavy mutton making more than 600c/kg in saleyard, despite the price spikes in some centres. Mr Fletcher attributed the strong demand for Australia’s mutton to the in-market work by processors, without the assistance of Meat & Livestock Australia. And although heavy crossbred ewes sold for up to $234 last week, and prices for select lines in some markets have been above $200 this week, the effect of lower overall prices for medium and light weight sheep means the national mutton indicator is still below record levels reached over the last two years. Comparisons of Australia’s mutton exports to some major markets in the month of March show that shipments have more than doubled into China from 2690 tonnes in 2018 to 5533 tonnes last month. Mutton exports to the United States for March have also increased from 1249 tonnes in 2018 to 1685 tonnes last month. For the fiscal year to date (nine months from 1 July 18 to 30 Mar 19), mutton exports in 2017-18 to China were 35,458 tonnes and have increased to 53,331 tonnes in 2018-19. The US export increase in that time has been from 10,461 tonnes to 15,273 tonnes. 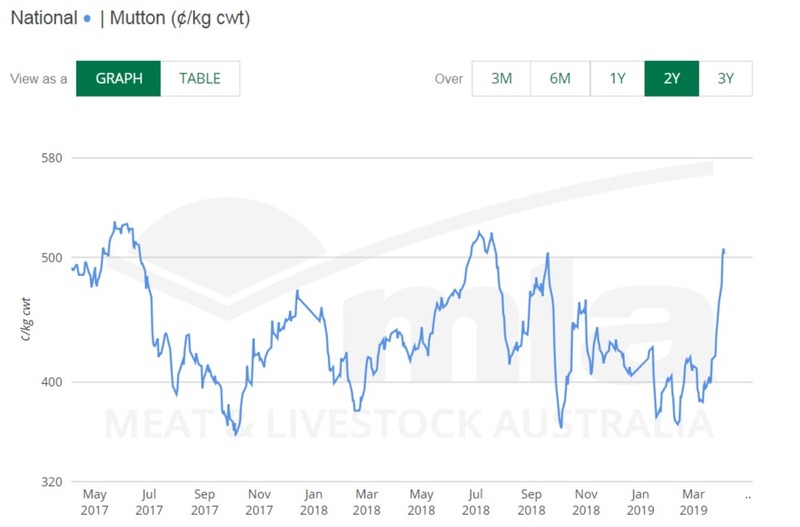 The National Mutton Indicator published by Meat & Livestock Australia’s National Livestock Reporting Service rose to 507c/kg on Wednesday this week, falling four cents to 503c/kg yesterday. However, on 6 July last year the indicator peaked at 518c/kg and on 23 May 2017 the indicator reached 529c/kg. Thomas Food International national small stock manager Paul Leonard is being driven by demand and supply. He expected processors will look to continue mutton processing at current levels until post-Easter when depending on the seasonal outlook, some might consider potential “wind-backs,” including double to single shifts, fewer hours etc. “I don’t see it as being necessarily long-lived at some of these extreme levels. Mr Leonard said prices in some markets have settled this week to ranges from 450-550c/kg. “It is just from a tightening of supply that you will some extreme pricing in some markets, but in other markets it has been reasonable. Mr Leonard said TFI’s wether hook price of 530c/kg was generating plenty of stock and put the processor “10 days out in front”.